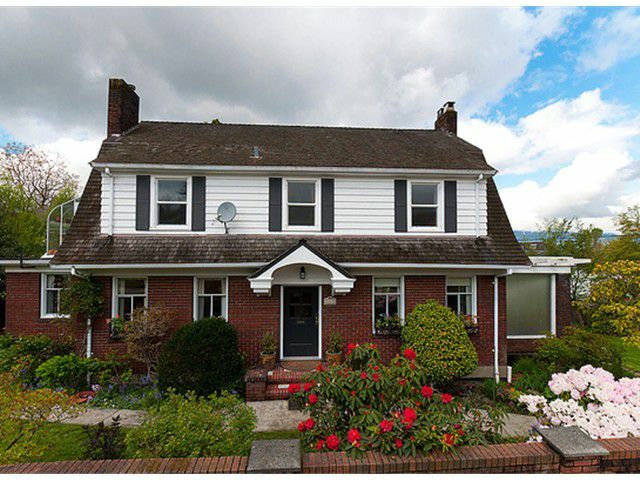 Traditional home in First Shaughnessy. Generous x-Hall living/dining rooms with French Doors to covered deck + private garden. OAK hardwood floors, coved ceilings, crown mouldings + character throughout. Open stair to 3 bedrooms, 2 baths, solarium + unfinished attic with view potential. Rec rm + storage in basement. Wonderful central, yet quiet location. Restore this classic family home!